This is obviously a very convenient way to catch up with the series in time for the latest series reboot. As expected from a Digital Eclipse release, you'll be able to fight your frenemies locally or take the fight online against the rest of the world. A museum feature has also been included and considering the fabulous artwork from the series, it is most certainly welcomed. Some other features have been teased, so expect more announcements in the near future. 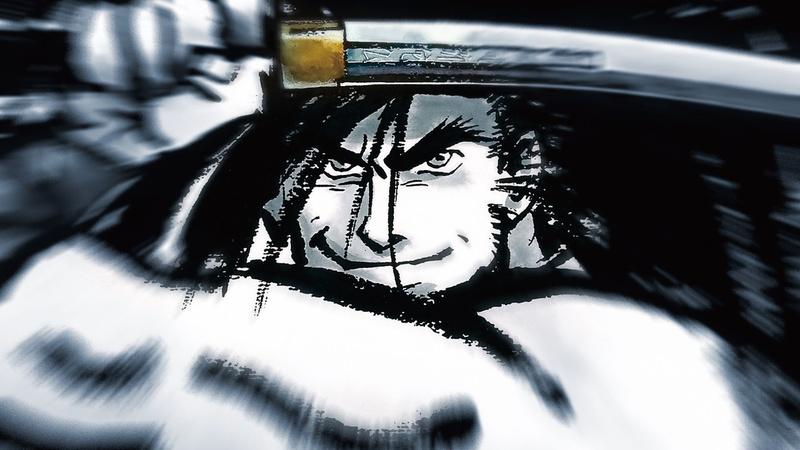 While we are looking forward to this excellent compilation, it is not without a bit of sorrow we see other titles in the series continuing to be neglected such as Atomiswave's 'everyone is here' Samurai Shodown VI or Neo Geo CD's unique RPG spin-off Shinsetsu Samurai Spirits Bushidō Retsuden. The compilation is expected to unsheathe swords and send in Poppy during Fall 2019, but with no price point announced as of this time. Impatient warriors can instead opt out to clash immediately by heading to the eShop and picking up games one to five from Hamster's Arcade Archives label. Are you a fan of SNK's all conquering 2D weapons fighter? Are you looking forward to grabbing this one or will you stick to the local versus Arcade Archives version? Sharpen your blades as well as your tongues in the comments section below. Online play makes this a must buy for me. Online play, getting this on Switch and PS4. So don’t buy any ACA games until we know more? Good lookin out. "Are you looking forward to grabbing this one or will you stick to the local versus Arcade Archives version?" I guess that will depend on the collections quality. The ACA line is emulated pretty much perfectly. Yeah, let's wait and see. Damn and I already got SS1-SSV on the eShop and looking forward to SSV Special soon. Still online play for this would be excellent, hope it got physical release and hope all of the games are on the cartridge. Kinda odd how SS6 isn't included though, I know that's the worst SS game ever made but at least include it for completion sake. With all these collection it seems like they purposely take one out just so we had to buy another like the old Samurai Shodown Anthology for Wii and PSP, it got SS1-SS6 but purposely left out SSV Special. I really hope they've learned how to better do online play after their unplayable lag fest of the Street Fighter Collection. Finally we can play these games online. Sold. @ReaderRagfish Yep, hopefully they've learned to increase the volume too. I still can't believe they never fixed the awful wound and low volume. I don't play it anymore because of that. @retro_player_22 woo. Please let me refute that. Sen was the worst samsho. That's nice, but I already have the Anthology for the Wii (which includes SSVI). I not such a huge fan that I'll double dip just for online play. I'll get it, because I love the way Digital Eclipse do things, and the Wii collection is so expensive these days. But if I had known this I wouldn't have bought the first two entries in ACA Neo Geo. What's better: The Wii collection with Samurai Shodown 6 (plus bonus material) or the Switch collection with Samurai Shodown 5 Special? Hope this is also coming to Japan too love the Japanese cover artwork. @Ryu_Niiyama I'm saying this in terms of the main games only as Sen was just a spin-off like the Rage games, SS6 was definitely the worst when it comes to contents. The large roster and multiplay style was its selling point but outside of that it didn't provide much fun or deep gameplay mechanic for me to enjoy. They took away all the fatalities and didn't add many other modes of play to the game plus it is one of those dream match title where there are no story so characters doesn't interact with one another meaning none of them had nothing interesting to say about one another. Would be nice to hear what Amakusa say to Mizuki or maybe Tam Tam to Cham Cham but we are left with nothing interesting to hear or see. It's a big name title with lots of characters to play and nothing else. When compare to other large roster games like Street Fighter Alpha 3 and Tekken Tag Tournament it just doesn't provide much. Exclusive characters like Iroha, Andrew, and Karakuri were fun characters to try but with no story or character background about them it doesn't make me feel connected towards them. To me SS6 is just a time killer and nothing else, a fun game to play pass the time but offers nothing for me to want to come back for. @Valdney - Since Digital Eclipse did the SNK 40th Anniversary Collection, I assume NIS America will publish a physical release for this SamSho collection as well. Hmmm, I might wait for reviews to see if the online works first. yes, this looks to have all the same game content as the physical Wii collection I bought used for about $12 USD five or six years ago. If I remember SSVI or the one that wasn't previously released had a jarring look of HD drawn backgrounds and ripped pixel art sprites. It was so ugly and cheap looking I didn't play it much. Fortunately SS2 thru 5 were all quite good, and 2 hold a nostalgic spot because one of the local diners I used to get coffee and eggs with my buddies after drinking back in the late 90s had a Neo-Geo machine with Samurai Showdown II on it and we loved it. It would be pretty convenient to have all these games in one collection. I only ever bothered to buy Samurai Shodown II on the eShop, because it's the one with Cham Cham in it. @DockEllisD This only exists now because it came out on the wii and PS2 many years ago, expect the King of Fighters orochi saga to follow. @YANDMAN Yeah, I have the one on Wii. Metal Slug will probably come too. @DockEllisD That would be cool, that colelction sucked on the wii due to the ridiculous control scheme. I'll buy this compilation as many times as it launches! i love this games, there are not 2d fighting games like Samurai Shodown.